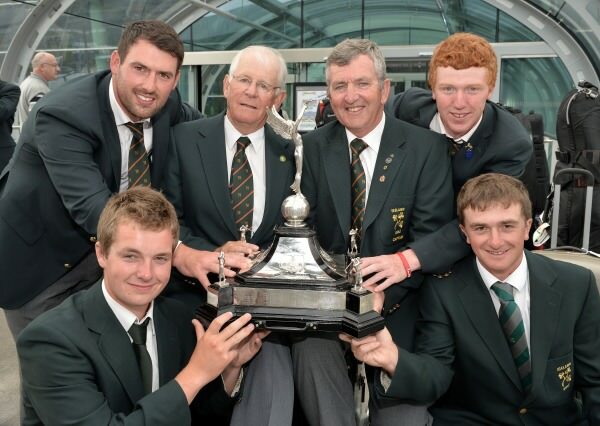 Ireland finished fourth as England won the European Nations Cup by one stroke from Spain at La Reserva in Sotogrande. Naas' Jack Hume shot 76 to finish fourth in the individual standings behind the outstanding Spanish world No 3, Mario Galiano. But with Warrenpoint's Colm Campbell also shooting 76 and The Island's Gavin Moynihan and NUIM/West Waterford's Gary Hurley posting one over 73s, Ireland ended up seven shots off the pace with France three strokes behind England in third place. Galliano closed with a 72 to win by eight strokes on one under par 287 from Robbie Van West of the Netherlands (78). Sweden's Marcus Kinhult (74) was third on 296 with Hume tied for fourth spot with Romain Langasque (74) on 298. Moynihan finished tied for 11th on 303 with Hurley (310) tied 25th and Campbell (313) tied 35th as Spain won the women's team competition. Saturday was another tough day with a change in wind direction making the opening six holes very difficult. 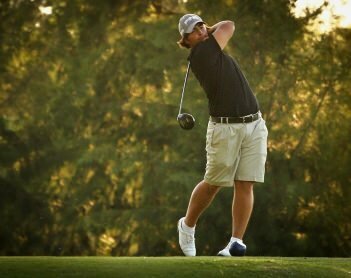 Campbell bogeyed the opening three holes and fired a four-iron over the green into the lake at the sixth to take a double bogey. He birdied the par-fve seventh and turned in 40 before playing the back nine in level par to return a 76. Hurley looked as if he was going to endure another miserable day when he made bogeys at the third, fourth and fifth and had to hole from 20 feet on the sixth to avoid a further dropped shot. He made birdies at the eighth, 10th and 11th to get back on track but immediately doubled 12th and bogeyed the 14th before holing from 18 feet for an eagle on 15th. He then made three solid pars to finish and return a 73, his best of the week. Moynihan played excellent golf on the front nine, making eight pars and an unfortunate double bogey on third where his tee shot struck a tree and went out of bounds. Birdies on 11th and 15th repaired the damage but he three-putted the 16th from 25 feet and finished with two pars to complete the championship with a 73. Hume started in the worst of the winds and made the turn in two over with dropped shots at the second and fifth. He miscalculated his yardage at the 10th and wedged into the back bunker to drop a shot and lost another shot to the course on the par-five 11th. He narrowly missed for eagle on 15th and made birdie but misjudged his approach to 18th and failed to get up and down for par. A final round of 76 was a disappointing finish for him having played so well all week but he still finished in the top four. England won the team event by the narrowest of margins from Spain, their cause helped by Ben Stow's eagle, birdie, par, par finish. The experience of this week should stand to Ireland's quarter in next week's Spanish Amateur on the flatter greens at the Sherry Club, where they will be joined by Dermot McElroy, Robin Dawson, Richard Bridges, John-Ross Galbraith, Geoff Lenehan and Eugene Smith. The European Nations Cup also marked Padraig Hogan's last event as team captain — a stint that brought victory in the Home Internationals and second place in the Europeans last year. The Elm Park man now hands over to Lucan's Tony Goode for the next three years.